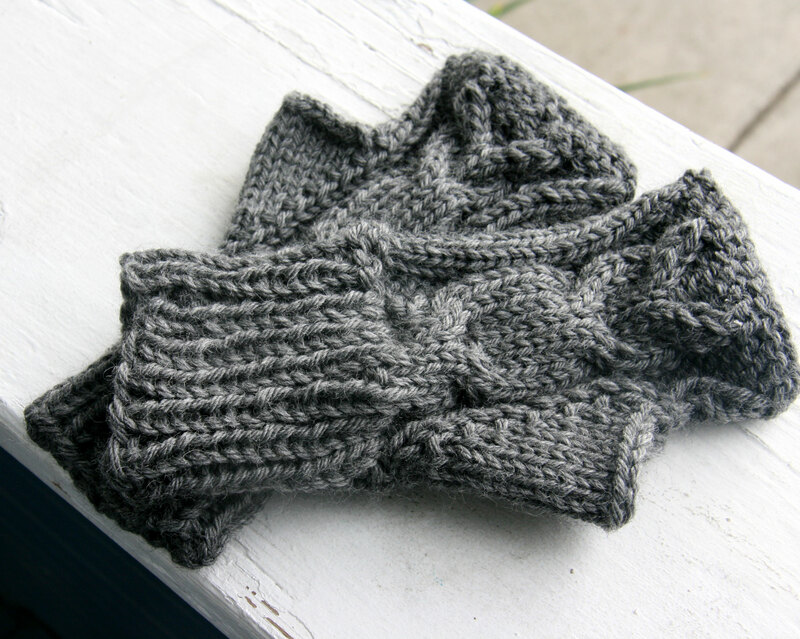 I just finished up some fingerless gloves last night. My friend Ann at our local LYS told me about the pattern. I made them with some bulky or heavy worsted (not sure) Ella Rae wool. They were a great knit. See the owls? Well they are upside down in this picture. These mitts have a long warm cuff. One of my favorite things about this pattern though is the thumb construction. I usually make thumbs where you put stitches on waste yarn and come back to the thumb at the end. There are always some small holes and you pick up stitches to try to fix this. But these gloves? You make the thumb as you go! You increase two stitches in the gusset every other round. When you get a big enough thumb, you bind this part off. It makes for such a beautiful solid thumb. I want to always make thumbs this way from now on. I will say that the thumb was a little large and I might not increase so much next time. I am a pretty loose knitter though, so that may be where the problem came from for me. There are also a couple of increases toward the top of the hand. I did them at first, then I realized it made my glove way too big at the top, so I ripped back and did it without the decreases. Again, this might have been my loose knitting. I should probably loosely block these, but I’ve not done that. I already wore them to school this morning (it was raw out and a little rainy!). Love this pattern! I’d like to make another pair and make them into mittens. My Regrowth Shawl is slowly approaching bind-off. I have now begun referring to it as “the behemoth”. It’s enormous. It’s been a great pattern, and I have loved knitting it. I have 8 rows to go, and I ran out of yarn again. It’s so large at this point, that I ordered 4 balls of yarn. It might take that to finish those 8 rows. Maybe it will just take 2 or 3, but I didn’t want to have to order it again. I wish I could take a good picture, but lace in progress just doesn’t photograph well (at least in any way that I know how to do it). There are at least 1500 stitches on a row now. I don’t really want to count that much, so I haven’t checked for sure. I think there are actually more. 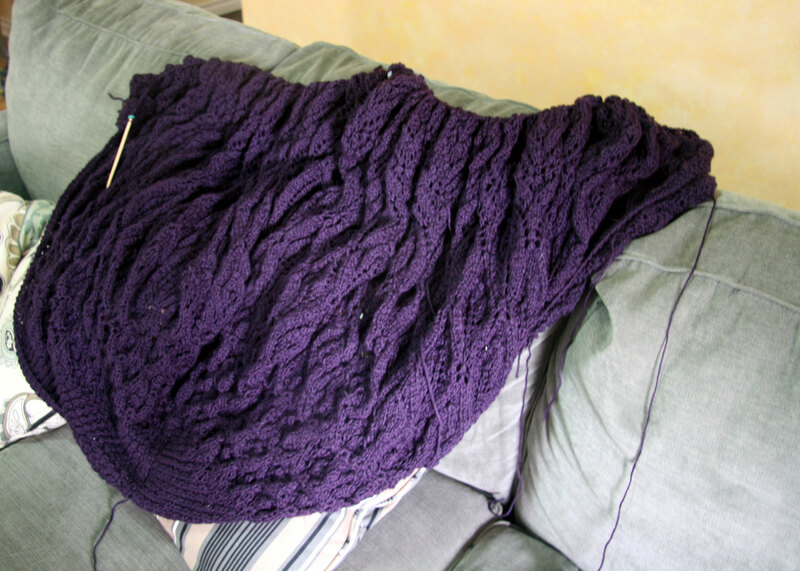 It’s large – I think it’s the largest thing I have ever knitted. I can’t wait to block it, although I am still not sure where this is going to happen! 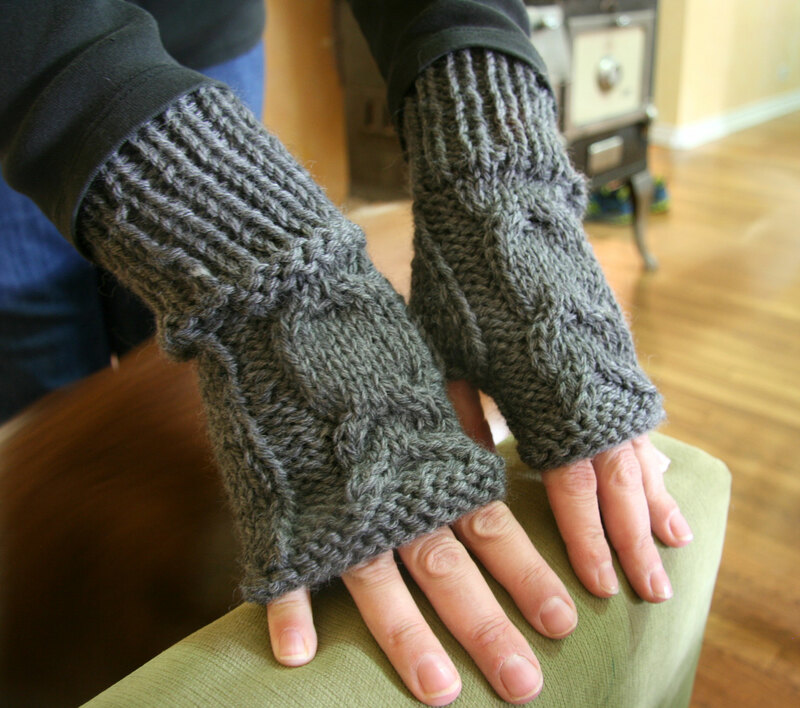 This entry was posted in Knitting and tagged fingerless gloves, magic loop, owl mitts, owls., Regrowth by cpeezers. Bookmark the permalink.